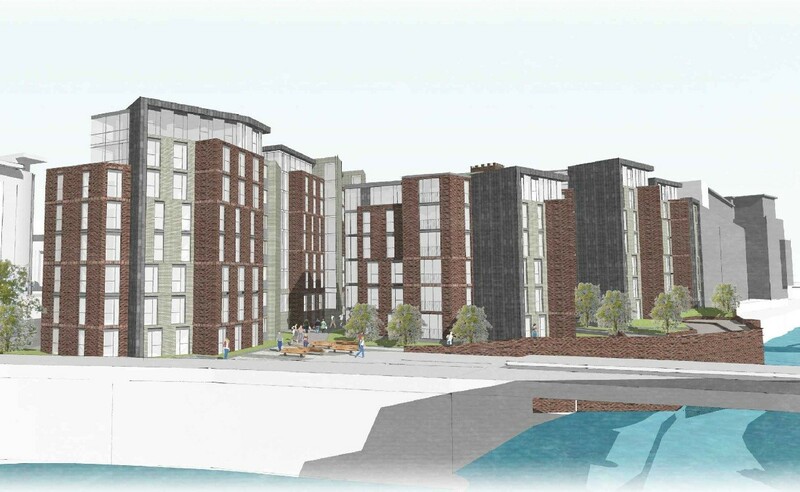 Watkin Jones Group has submitted plans to build 504 student flats at the site of the former Scotstoun Flour Mill, Dunaskin Street, Glasgow, overlooking the River Kelvin. 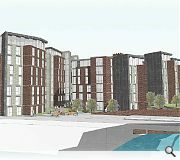 The developer has appointed Fletcher Joseph Architects to design the scheme which encompasses five separate blocks arranged around a new public space intended to open up pedestrian links to Dumbarton Road. This will also open out onto the Kelvin Walk master plan, which ultimately aims to provide a pedestrian link between the Transport Museum and Kelvingrove. 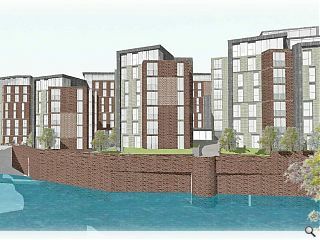 In their design statement Fletcher Joseph say: “The proposed six, seven and eight storeys block step down the site to maximise daylighting through the scheme whilst acknowledging the surrounding context and the site topography. 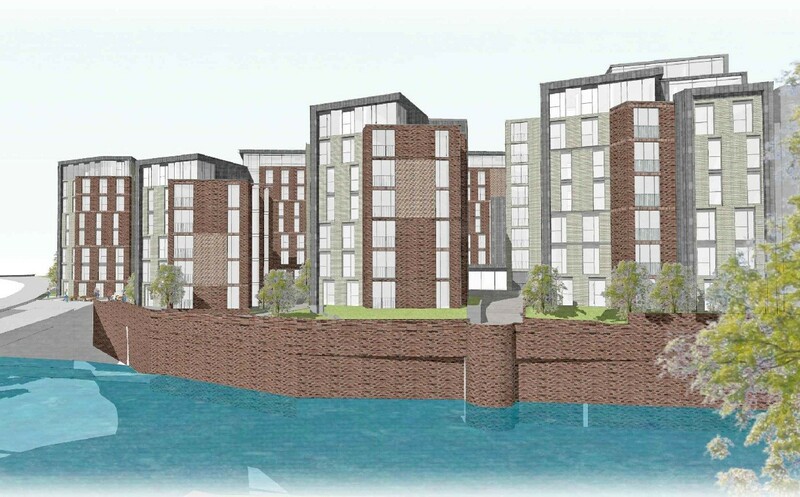 The height of the uppermost blocks tie in closely with the ridge height of the existing mill building, Block 2 ties in with the parapet of the archive buildings and Block 5 continues the rhythm and massing set up by the adjacent residential flatted development. An un-listed brick water tower will be rebuilt to accommodate a stairwell for one of the new blocks. Very 1970's in design. Does Glasgow need more student housing? We must have reached saturation point some time ago. I think I may be commiting the cardinal architectural sin of judging a building by it renders, but this does not look particular inspiring. Does anyone know of any stand out examples of student housing? There are so many good examples Rupert it's hard to know where to begin. That said, Oxbridge provides huge numbers of good examples - Powell and Moya's St Johns College Cambridge for instance, or Allies and Morrison at Fitzwilliam College and Newham College Cambridge. More recently Niall McLaughlin Architects at Somerville College, Oxford and Grafton Architects at the University of Limerick are good pieces of architecture. Can people please, please, please, PLEASE stop using SketchUp? If you must use it, then please, please, please, PLEASE stop using it in promotional/publicity material. It's embarrassing. Yet more residential density and enlivenment brought to a long derelict corner of the inner city. Does Glasgow really need more student housing? yes please! I agree with Charlie & TepidMouse in terms of the positives of city core densification- but I would really like to see these kinds of projects upscale their quality- could the spec not be hardwired with a long term plan for eventual conversion to residential use? Welcome to Partick, twinned with Beijing. 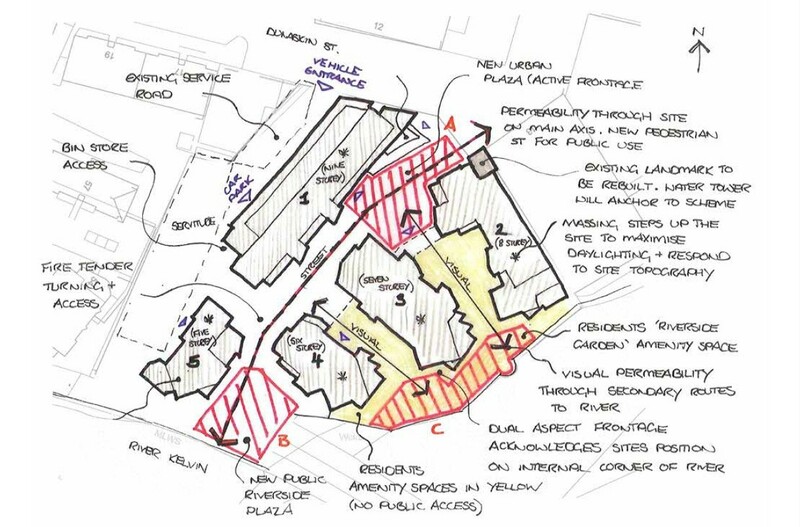 Why can they not do mixed use, follow the traditional urban blocks of Partick and scale. Constantly trying to re-invent the wheel and continue to not learn from the horrors of the Glasgow Harbour housing nightmare. This is not a long term development fit for the city, just a short term cash bonanza. 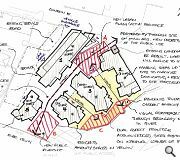 A scheme so well considered the published information consists of a diagram drawn in Biro and very fussy overly complicated 3D model. Got alarm bells ringing here!